Two of my all time favorite hot sauces were created by self made entrepreneurs. 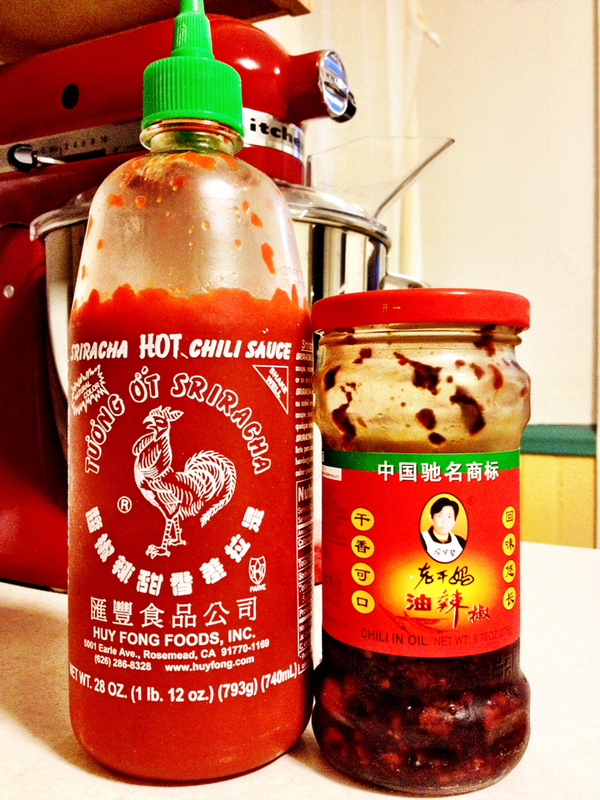 I love this quote from David Tran, the founder of Sriracha “Hot sauce must be hot. If you don’t like it hot, use less,” he said. “We don’t make mayonnaise here.” They’ve never paid for advertising but have built a strong following. In 2007, they ran out of peppers. Instead of running out to buy ingredients from the supermarket, he asked customers to wait and they did. The peppers are grown in Ventura County. Tran has never compromised his product and it’s one of the many reasons why it’s so popular. The sriracha story is one of example of an entrepreneur with a strong vision who sticks to what he knows best. This is something I try to remind myself of frequently. Oh, if you ever wonder if Tran notices your creations with his hot sauce, he does! He loves to google and laugh at all the creative uses. How cute is that? Tao Huaboi, the founder of Laoganma is a woman I deeply admire. What’s remarkable about Huaboi is that she’s illiterate with no formal education let alone any business experience prior to her chill empire. She remembers most of her staff’s birthdays and treats everyone like her own family. I fell in love with her hot sauce a few year back when my mother introduced me to it. I’ve never looked back since and have always had a least one jar in my fridge at all times. If you didn’t know already, it’s not the most natural product, but for the love of the hot sauce and her, I let it slide. Recently, her story was published in a Chinese newspaper. My mom couldn’t stop talking about it and I couldn’t stop listening. We all have a story and it’s amazing to learn how much has gone into her hot sauce. Huaboi had to support herself and her kids after her husband past away. She started selling noodles out of a tiny stall on the street. On the days she didn’t have any of her hot sauce, she noticed business wasn’t as good. Soon her customers asked to buy her hot sauce and stores started carrying her product. In order to buy all the ingredients she needed, Huaboi carried heavy loads to and from her home on her back. She couldn’t take the bus. The driver wouldn’t let her on since she had too many things with her. Soon it became so popular that she expanded into a factory. However, back when she was small time, she’d let people run a tab when they didn’t have any money to eat only to erase it completely. She continues to be humble and treats her team with care and integrity. It goes to show that awesome products led by founders who do the right thing do succeed. If you’ve ever wanted to learn how to increase your hot sauce tolerance, there’s a great podcast from NPR on hot sauce, that you should check out. All this talk of hot sauce brings back memories of being in speech and debate in high school. I gave a speech on Tabasco which was my first foray into the world of capsaicin levels and the Scoville scale. Anything is possible. Take a risk. Take a chance at yourself. Stacey Ferreira did and raised $1 million straight out of high school.